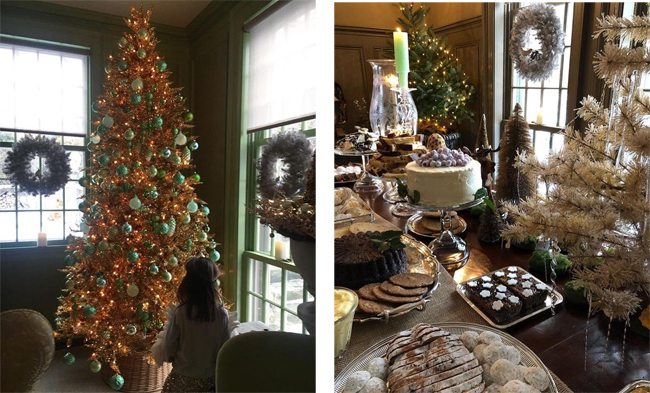 This past weekend Martha hosted her annual Christmas party at Cantitoe Corners, her farm in Bedford, New York. Fans should definitely check out her blog to see all the details! More than 200 people attended and to keep the crowd satiated and spirited, Martha set up three main holiday 'stations' at her home. (If you've got the space, as Martha does, it's a brilliant idea). 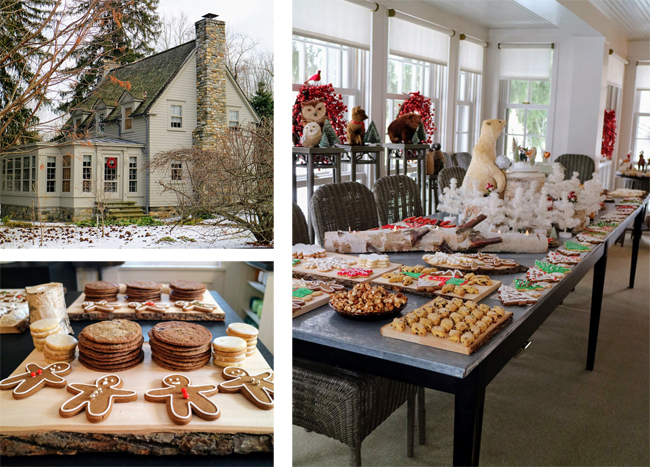 Her tenant cottage, which is where Martha's daughter and grandchildren stay when they visit the farm, was the cookie station, with the space converted into a confectionery wonderland: cookies and treats for young and old alike. The theme was a festive woodland (to inspire the children in the group) and there were tables laden with all kinds of cookies and brownies and candies. I'd have a very hard time staying out of this house! 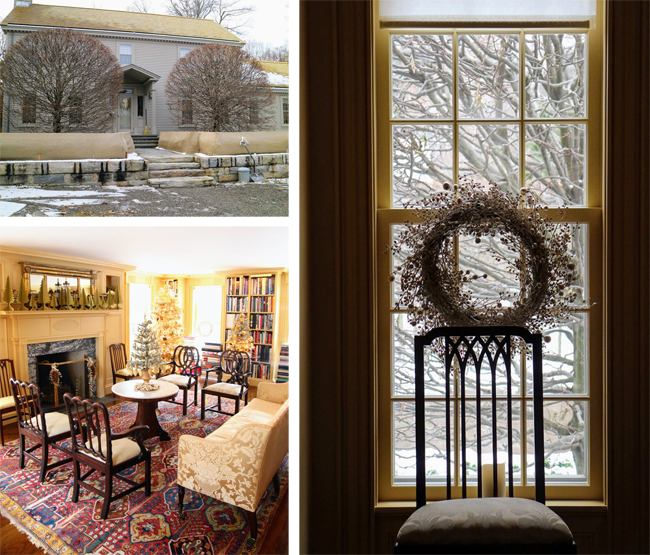 The Summer House, which is the house that is original to Martha's property, built in 1770, was the "Caroling and Champagne" station. 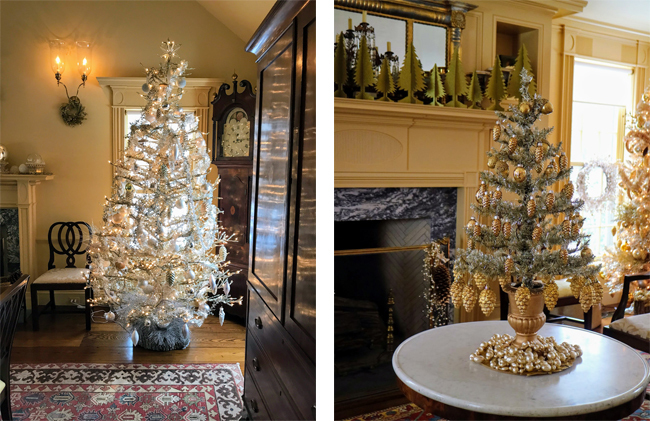 The space was awash in beautiful, gilded decorations and glistening Christmas trees. 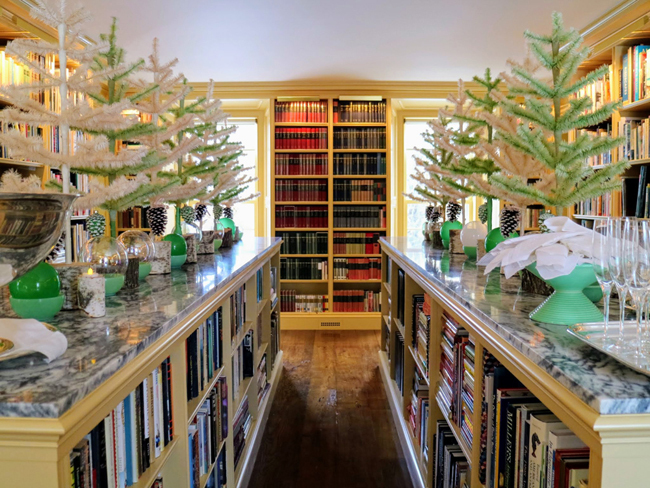 Her library, which is located in this house, looked so beautiful with groups of her diminutive Martha by Mail feather trees lining the tops of the bookshelves. 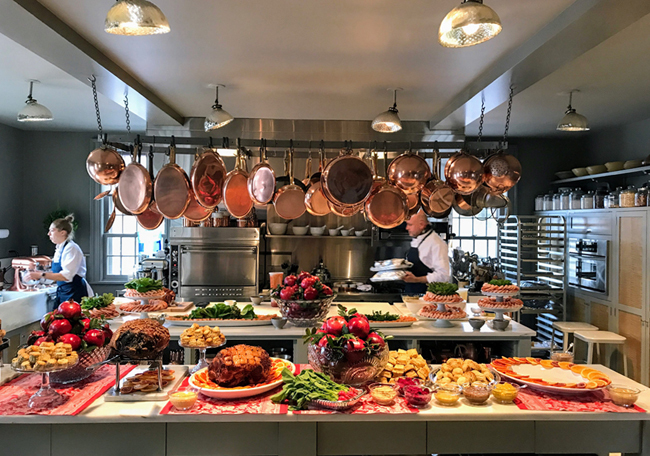 And the Winter House, Martha's main residence at the farm, served as the hub of the party where Chef Pierre Schaedelin of PS Tailored Events created a feast of savory dishes for dinner. 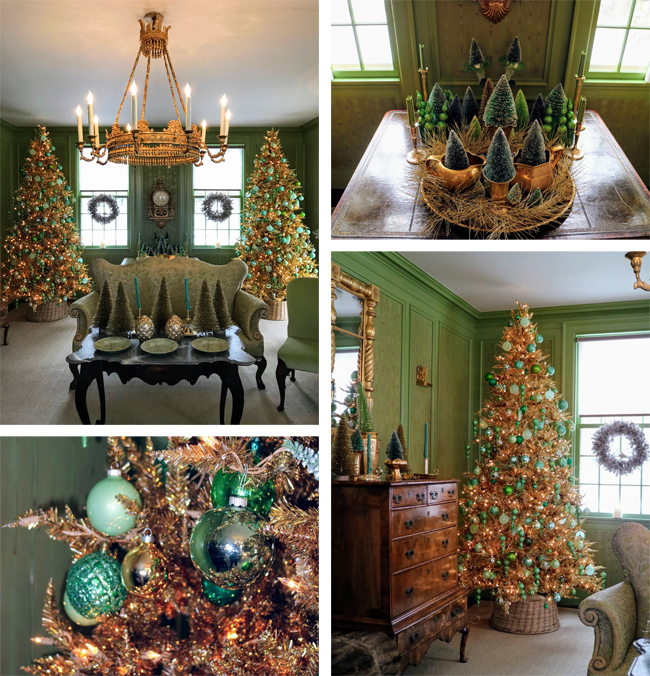 Martha's green room, her brown room and her kitchen were decorated beautifully with multiple Christmas trees. To see many, many photos and learn all the details about the party, be sure to read Martha's blog! She has devoted the week to sharing photos from her party and has posted so many gorgeous photos. Don't miss it! Thank you for this gorgeous, holiday spirit-filled post! Not only would I be tickled to attend such a fete, I'd love to be a fly on the wall when the time came to pack up all of the decorations. I am exhausted thinking about it!